What I’m about to present to you is an amazing excuse to go eat and drink at some of my favorite spots around Atlanta. 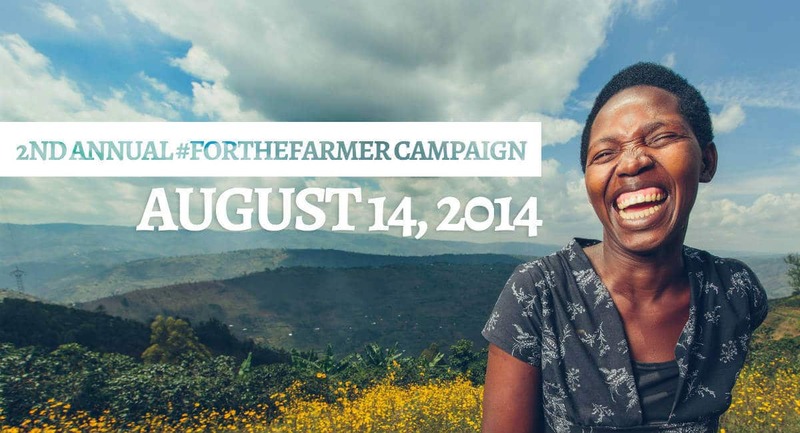 The Kula Project is hosting the second annual #ForTheFarmer campaign in partnership with some of the top restaurants, bars, and coffee shops around Atlanta on August 14, 2014. Kula means “to eat” in Swahili and there is no better way to unite with Kula Project’s cause than at the dinner table. Each participating restaurant will donate 20 percent of sales from the evening to be invested in Kula Project’s farmers in Rwanda. Each restaurant will be paired with an individual farmer’s story and diners will get to see the direct impact their contribution will make through photos and more. 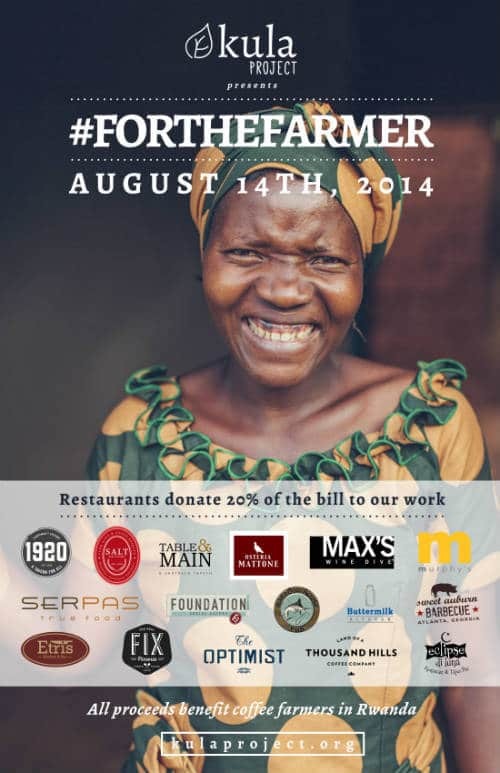 We want you to join us on August 14th to help the farmers of Rwanda. Bring your friends and family, and please spread the word!